Even before Liam Brady was born, his doctors knew something was very wrong. A shunt was inserted before Liam was born to relieve the pressure on his kidneys. 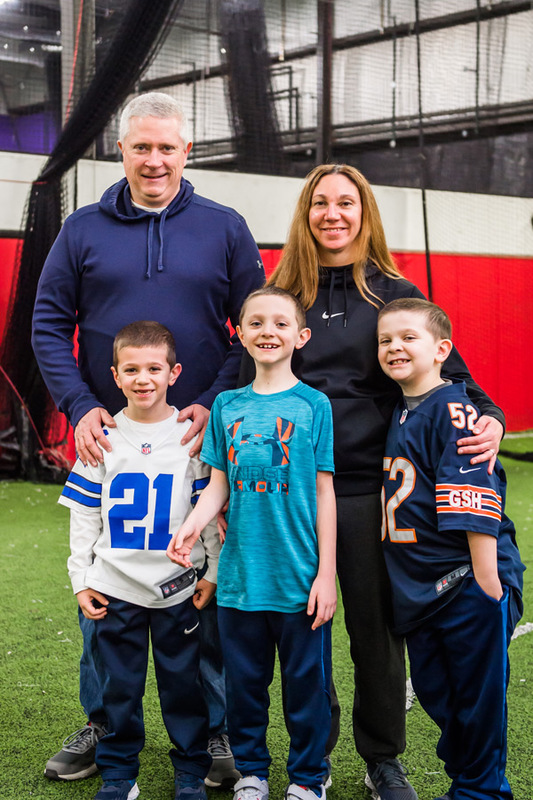 After he was born, “Liam needed significant surgical intervention,” says Paul Zelkovic, MD, Chief of Pediatric Urology at Maria Fareri Children’s Hospital, a member of the Westchester Medical Center Health Network (WMCHealth). Because the newborn had extra tissue in his urethra (the duct that carries urine out of the body), “when he was one day old, the first thing we did was reposition the bladder to relieve the obstruction,” Dr. Zelkovic says. Then, a few days later, “we repaired his ureter tubes, which connect the kidney and the bladder,” he adds. When Liam was just 4 weeks old, he returned to Maria Fareri Children’s Hospital, where he remained for nine days, battling a blood infection. “He fell in the category of having chronic kidney disease, stage three,” Stephanie says. Liam’s cousin Elizabeth was his perfect match and happily volunteered to donate a kidney. 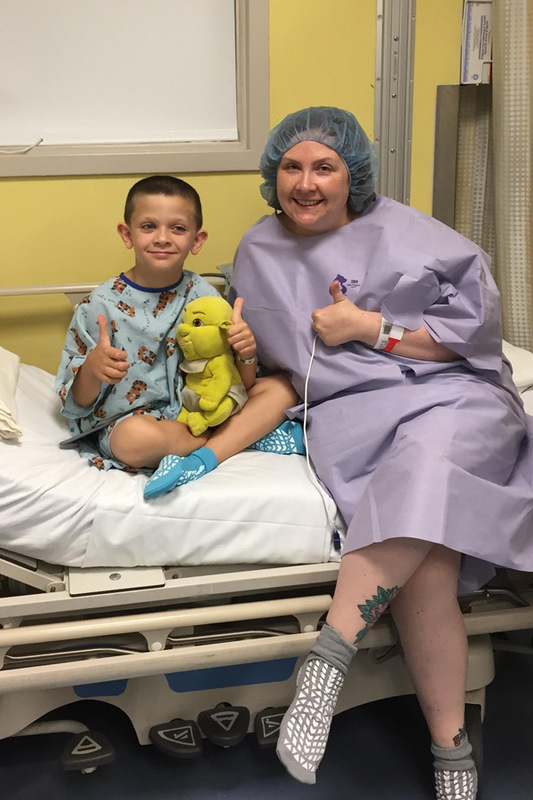 At nine months of age, Liam was big enough to undergo another procedure, to remove the extra tissue from the back of his urethra and repair his bladder. Still, his right kidney was smaller than his left and became chronically infected. 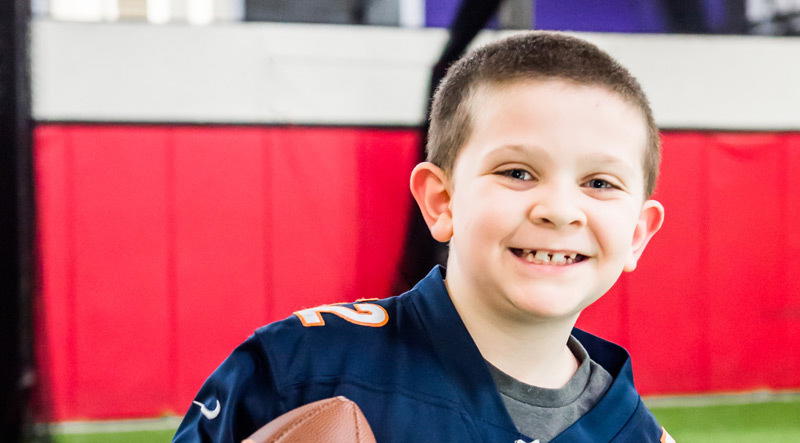 Liam grew into a spirited boy who loved the Chicago Bears, yet his kidney disease often sidelined him. In 2012, when he was 18 months old, Dr. Zelkovic removed the kidney to prevent further infections. “It was only functioning at about 3 percent,” Stephanie remembers. His left kidney would now have to do double duty. Because Liam was relying on one increasingly overtaxed kidney, his physicians at Maria Fareri Children’s Hospital kept a watchful eye on his output of creatinine, a waste product excreted in urine. If it rose above a critical level, they warned, he’d require a kidney transplant. “He was always teetering around that mark,” Stephanie recalls. Then, late last spring, when Liam was 7, things changed for the worse. “His kidney function had deteriorated to the point where he needed a transplant or dialysis very soon,” says Dmitry Samsonov, MD, Chief of Pediatric Nephrology at Maria Fareri Children’s Hospital. Dialysis would have significant downsides, Dr. Samsonov adds, “from the risk of infections to a significantly reduced quality of life.” The upshot: Liam needed a new kidney — and fast. Despite his struggles, Liam was fortunate in one sense: He had a kidney donor lined up. His cousin Elizabeth, 39, had volunteered and was his perfect match. He also had a top transplant surgeon at the ready — Gregory Veillette, MD, Section Chief of Kidney Transplant and Hepatobiliary and Pancreatic Surgery at Maria Fareri Children’s Hospital and Westchester Medical Center. On August 2, Dr. Veillette and his team transplanted Elizabeth’s kidney to Liam. Working quickly but carefully, he hooked up an artery that would bring blood to the kidney, a vein that would take blood away from it, and a urine tube, which he connected to the bladder. And despite the potential for complications, “it went beautifully,” reports Dr. Veillette. The next step was to wait to see if Liam’s new kidney was functioning. Happily, within minutes, it began producing urine. The operation, which had taken nearly six hours in total, had been a success. Stephanie soon noticed a change in her son. “Besides the surgical part of recovering, he felt so much better inside,” she says. “He was like, ‘I love my new kidney!’ His coloring was better, and he was getting back to himself again, which was really nice.” He’s now closer than ever to his cousin Elizabeth: “She’s like his angel,” Stephanie says. Liam, pictured here (at right) with mom Stephanie, dad Matthew, his twin Connor (center), and brother Trevor (left), had no shortage of support from his family. Liam and Stephanie shared his transplant story as part of Maria Fareri Children’s Hospital’s annual 100.7 WHUD Radiothon for the Kids, and Liam recently joined Westchester County officials in lighting the Christmas tree at the Winter Wonderland at Kensico Dam. While Stephanie hopes no family ever has to endure what hers did, she knows exactly where she’d send anyone in that same position: straight to Maria Fareri Children’s Hospital. “They offer great care,” she says. To learn more about transplant services at Westchester Medical Center and Maria Fareri Children’s Hospital, call 914.493.1990.